Do It The Right Way.....Anyway. Ok.....I know spring is coming. 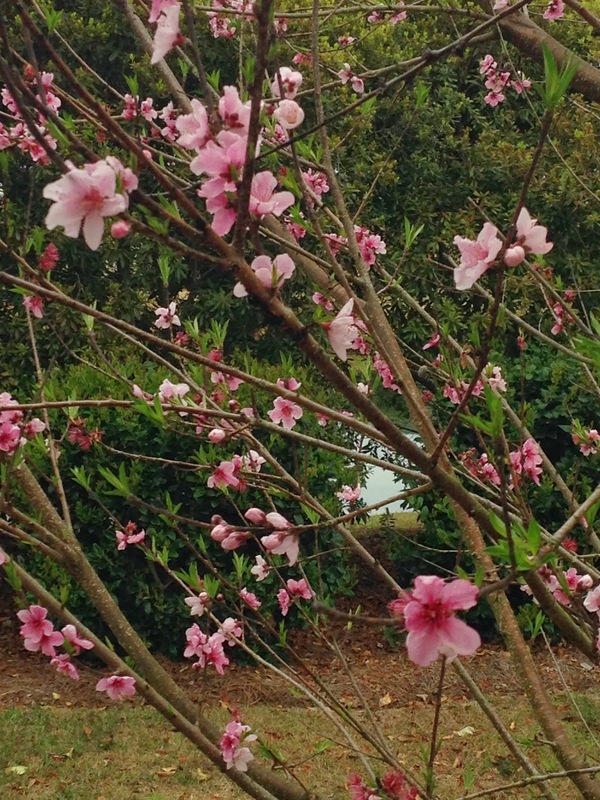 As I look out at the trees in the back yard, the blooms here in South Carolina are just waiting for the sun to come out so they can burst open. 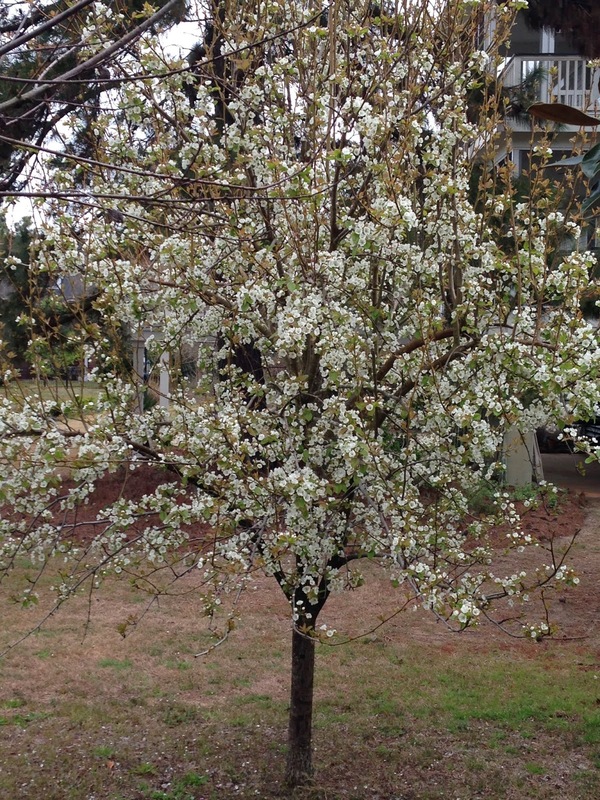 I look forward to that time of year when everything blooms. Everything is new and fresh and comes to life. I was reading a book the other day and came across this saying. "May I wake ready for that daily yet greatest of gifts - a fresh start." Unlike a tree that blooms and gets to show off it's colors each year, we have the marvelous opportunity to wake up each day and start over. We get to have a fresh start every day to make it into something wonderful. I'm looking forward to today, how about you? 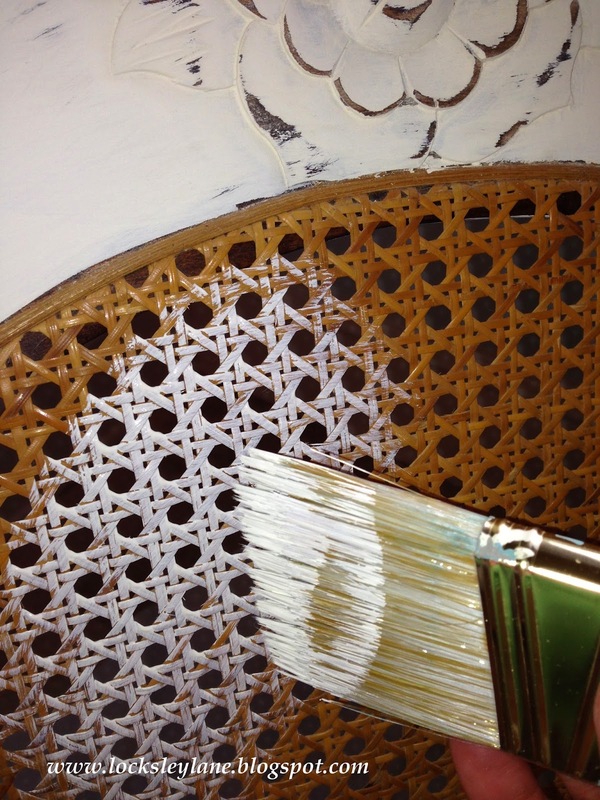 I painted this in old white and wasn't sure if I should paint the cane. I did a little distressing and then thought it would look better with the cane painted. Cane needs to be painted with minimal paint and in several layers. You don't want the paint to build up in between the weaved pieces. You can check out my tutorial on Painting Cane here. No matter where you are today or what is on your mind, I hope you can find a few minutes to lean back and rock. And if you don't have a rocker....just lean back. Ahhhhh. I've been thinking a lot about friendships lately. I am fortunate to have had some wonderful friends touch my life over the years. Sometimes I think back to friends I had that I really liked and I wonder what happened to them and wonder where they are and what they are doing. I have friends who I think of often but don't really talk to. I have friends that I chat with on FB or call and text occasionally, but very few friends that I hold near and dear to my heart. You know....those friends that are part of your BFF (best friends forever) circle. I've watched my girls who are in college and high school, lose friends, make friends and change best friends as they grow up and find their own way. They have friends that hurt them and they don't really understand why. As I'm getting older, my friends are on my mind more and more these days. Parents have become ill, a a spouse has passed away, a marriage has ended. Life starts to hurt a little more in different ways. We need those special friends to help us navigate through emotions and troubles that are new to us. We need that shoulder to cry on and someone to lean on. But not all friends understand where you are and what you are going through. It takes a special friend to listen, love and pray with you. Sometimes your friends are there and you don't even know it. They are with you in spirit. I have told my girls that sometimes friendships run their own course. Friends are sometimes here for a reason and then they go away. If you are lucky and blessed, you find one that will be with you throughout your life's journey. Here is the poem - unknown by author but a good reminder in understanding why some friends come and go and some stay forever. 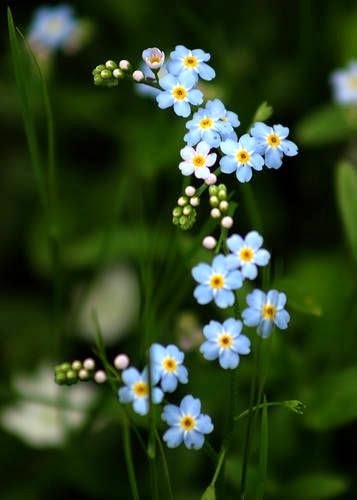 Forget Me Nots... Do you have a friend that you need to reach out to today or maybe one that is on your mind? Whether it's for a reason or a season - reach out. I did a few posts recently about dark wax and talked about the danger of making a piece look muddy. 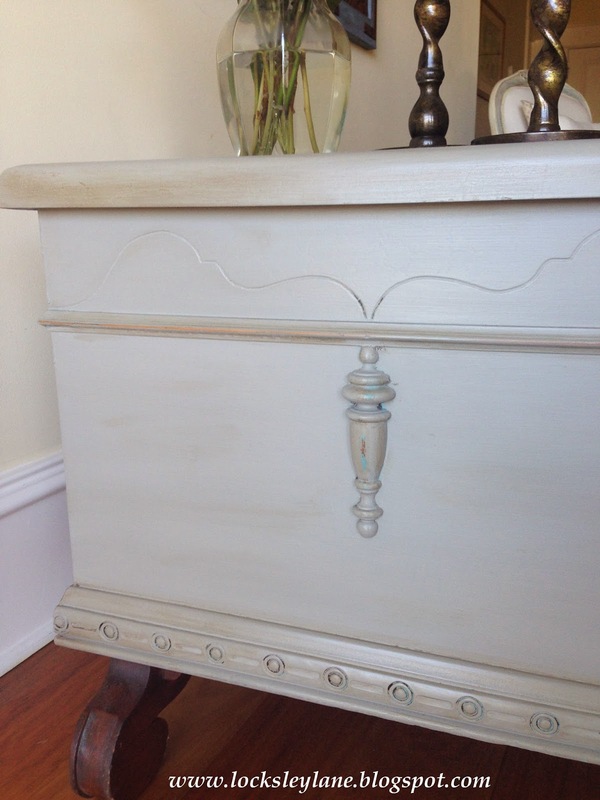 A couple of you asked what "muddy" means, so I thought I would show you on a chest I did previously. I also want to reinforce that if you don't like how something turns out with your paint or your wax, you can simply paint over it. No worries. 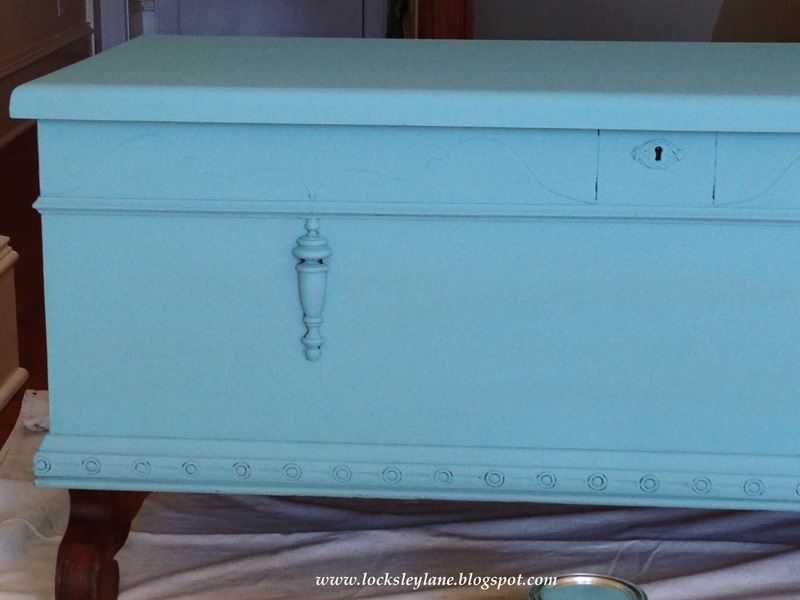 Remember my hope chest? Well, she started out in a color called Provence. This is a bold color that takes dark wax beautifully. However.....knowing what I know now, I should have done my application differently. I went for that all over rub in dark wax and this is what I got..... ick. See how the wax makes the finish look muddy or dirty? I did this in long strokes and it just didn't work. I liked how the top part took the wax where the carved detail was but when I got to the middle of the piece - it just didn't look good. I actually loved the new depth of "color" but I did not like how the wax looked on the chest. Can you see how the dark wax changes the actual color of your paint? This was too much and too messy for me. Muddy is the best way to describe too much dark wax. I like my pieces to have more of an authentic aged look - like it went through years of use and this wasn't working for me. One of my girls loved the bold color and dark wax, so it's all about preference. Let me know if you have questions about dark wax or waxing in general. As spring approaches, one of my favorite things to do is to sit on my back porch. As it gets warmer, it is the place where you can find us early in the morning and later in the evening. Well....you can find me there in the middle of the day too. :) When looking for an outdoor rug last year, I found a company called Mad Mats that makes rugs from recycled polypropylene (plastic). The mats are made from recycled water bottles, plastic milk containers, soda bottles and other plastic packaging. They come in fabulous colors, are fade resistant and soft on your feet. The Founders, are dedicated to the environment and to fairness in the work place. 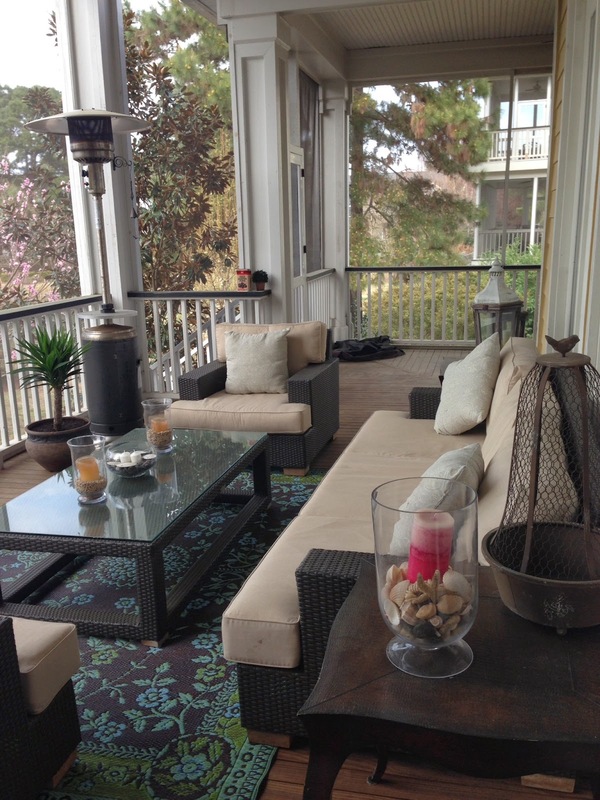 I also love the mats because you can wash them down with water and they are mildew resistant. 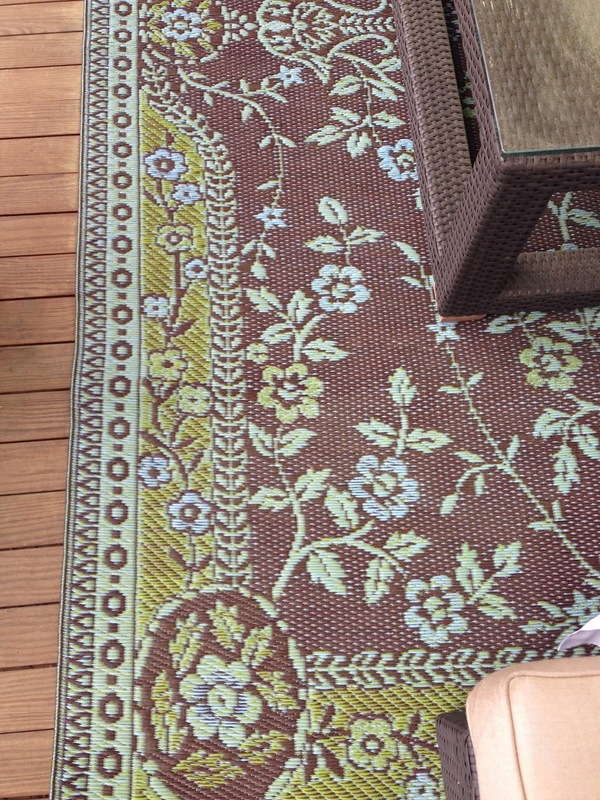 A great feature for any outdoor rug. And....they are reasonable. 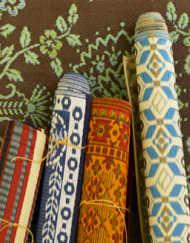 Be on the lookout for rugs by Mad Mats. I'm not being paid to support them, I just think they are a great product. 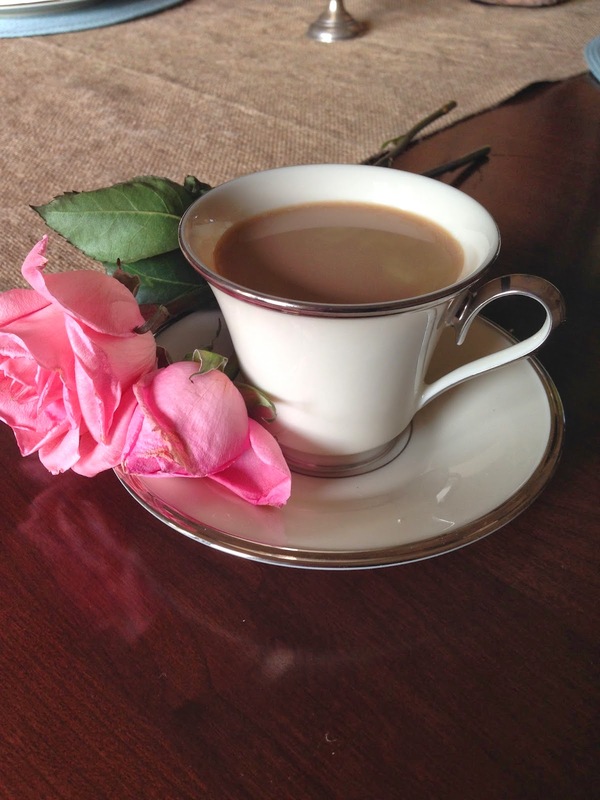 What is better in the morning that some pretty pink roses and a hot cup of coffee? Not much if you ask me - especially if you are sitting on your porch watching the tide roll in. I have a project in the garage that I'm procrastinating on.... it needs some major sanding. Muddling over all that sanding, got me thinking about how people are kind of like sandpaper (work with me on this one....). 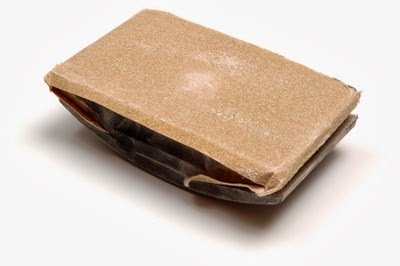 Sandpaper is basically abrasive paper that comes in all different strengths of irritation. Ok, I'm laughing a bit but here, but we all come in contact with people that are rude or abrasive right? So how do we handle this? 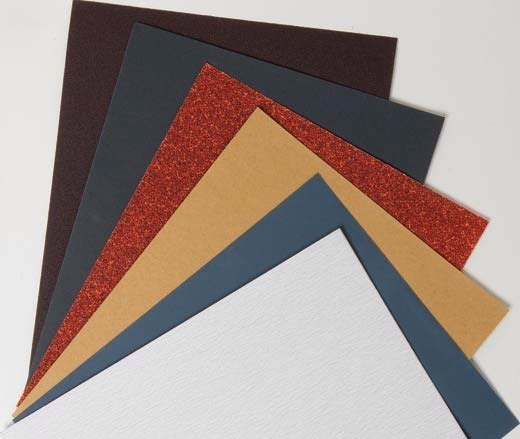 When working with furniture, sandpaper is used to remove small amounts of material from surfaces, either to make them smoother, to distress, to remove layers of paint or varnish and sometimes, to make the surface more rough - where you might want to prime or glue something on it. The smaller the grit, the more abrasive the paper. The grit refers to the number of mineral grains found in a square inch. I use a sanding block for almost all of my furniture distressing. Primarily I use a 100 or 220 grit for this. It's also where I take out some of my frustrations. :) The neat thing......and this is where I'm going with my thought for the day......is that if we work with the irritations or those little annoyances in our lives, not against them, it helps us get where we want to go. The sandpaper, although irritating in nature, produces the result that we are looking for. People aren't always nice. So when they aren't, I try to work through what is happening and help make the situation better. Sometimes people are just having a bad day. And....there are times, which I have to admit, when I'm the 80 grit sandpaper (not often, but admittedly it happens). So we have to work with the annoyances and let them go, make amends where appropriate and work towards that 400 to 800 grit of good irritation. Being slightly abrasive and willing to work out the little imperfections in life can sometimes be a good thing. I hope you minimize finding abrasive people over the weekend. And if you do, I hope it's those with the higher grit. 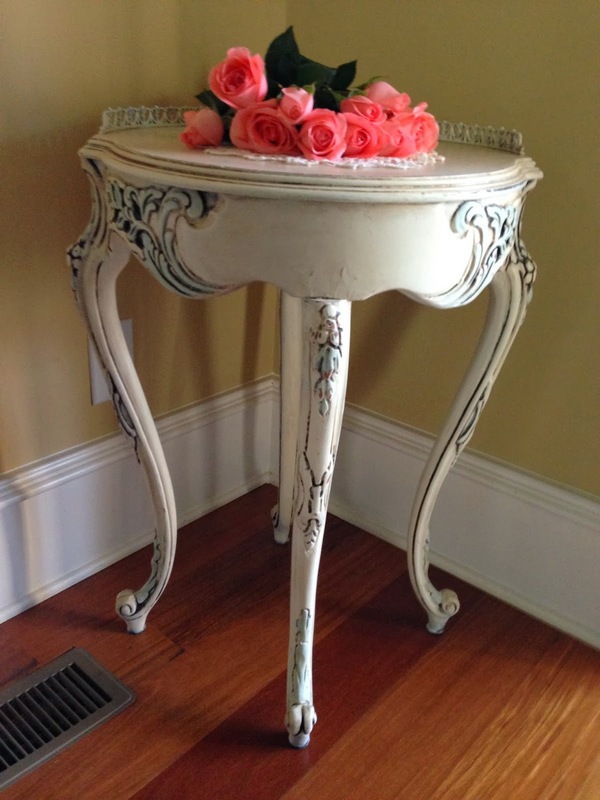 One of my followers asked me to show a piece of furniture that I've done recently with dark wax. I sense that this dark wax really has people on edge. It's definitely a look you have to want on your piece. Not all pieces are meant to have it. 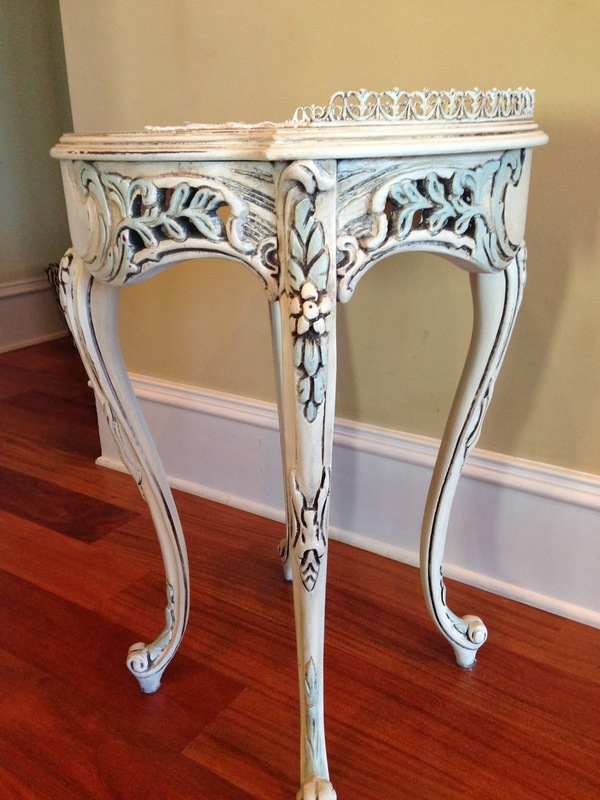 Your piece will be beautiful with or without the dark wax. As you can see in my video on dark wax (under tutorials), I only use the wax over a distressed area and lightly throughout the piece to add that "really worn" look. I follow the dark wax with a 0000 grade of fine steel wool. I don't use it across my whole piece......because I'm just not a fan of that look. If you like that look - go ahead and do it. Experiment with it. It's your choice and really about what "you" like. 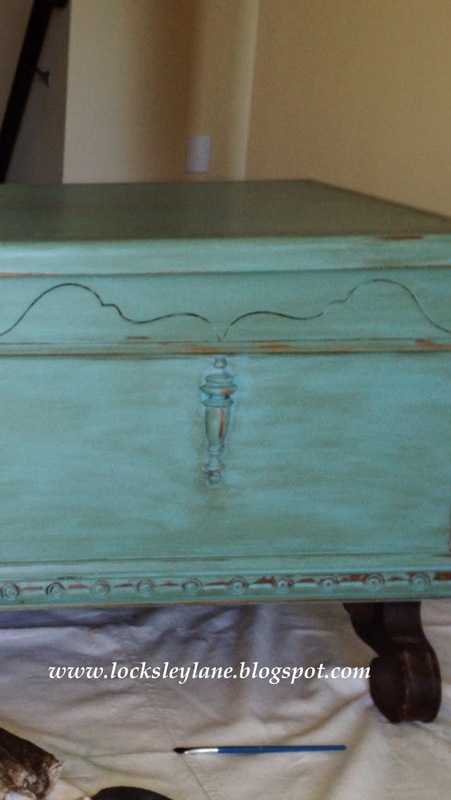 This was a chest I previewed earlier this week. 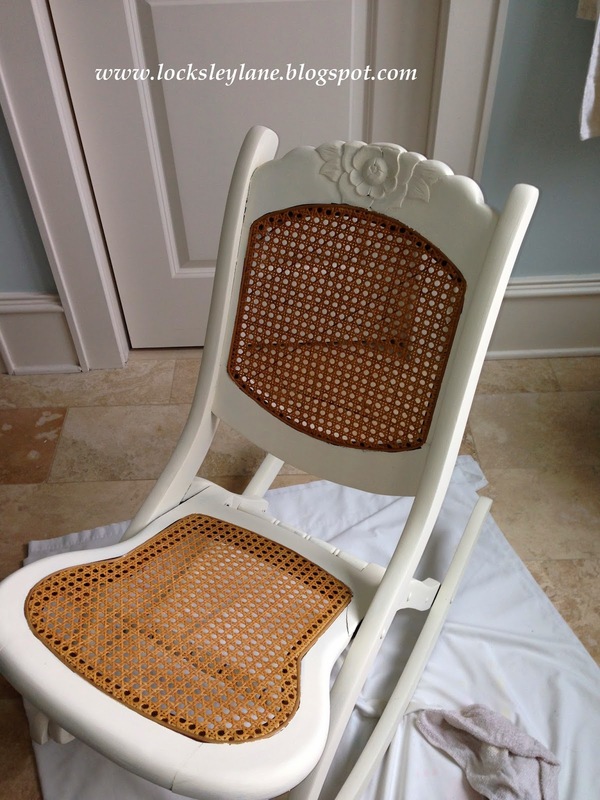 I loved the antique finish, but over the years, the crackle began to chip and needed to be refinished. 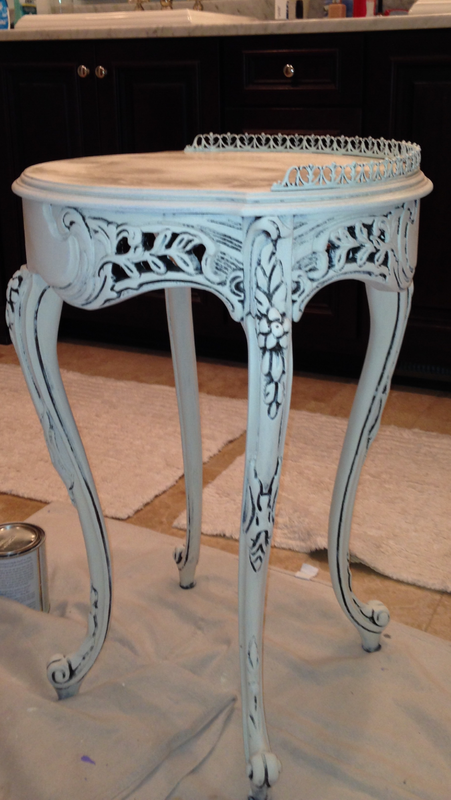 I debated about re-doing the finish but that meant stripping and honestly, I just didn't want to do that. 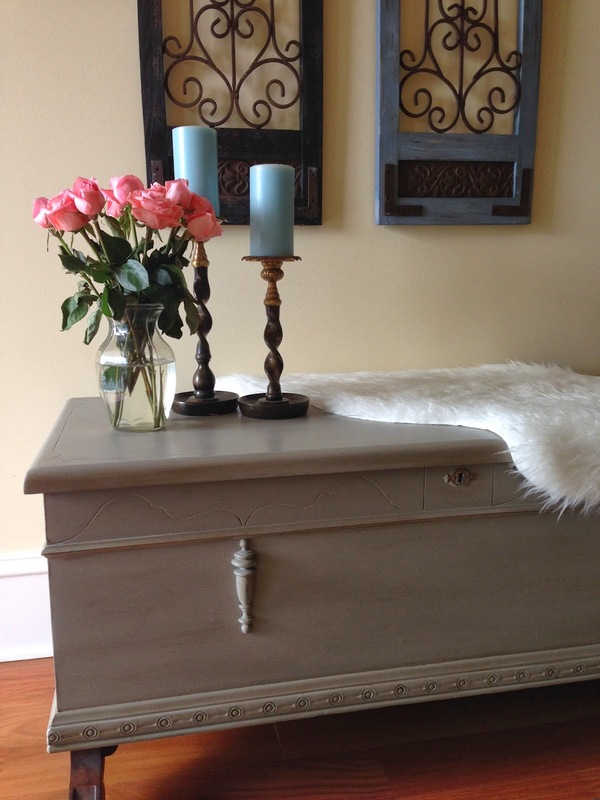 I decided to use a french linen which is a great color and goes with just about anything. I also used a bit of Provence in places I knew I would distress. This peeks through in a few places. I used a clear and dark wax to finish. Can you see where I gently use the dark wax in the details and lightly against the grain of the wood? 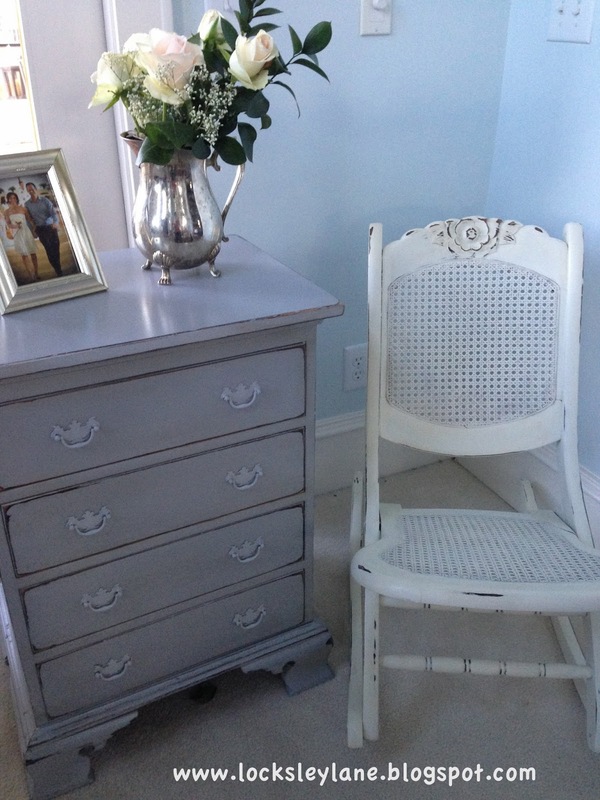 Can you see a bit of the Provence color peeking through? 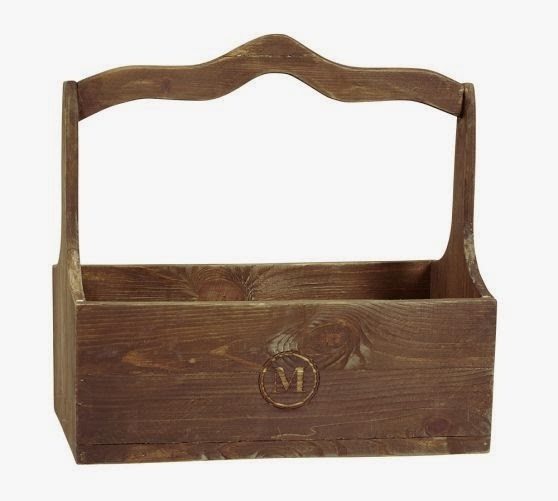 The chest also has a beautiful cedar lining inside of it and is in great shape. Who knows, if I get tired of the french linen, I can always strip her down when the weather gets nicer and bring her natural wood back to life. For now, I like how she turned out and love her new place in the upstairs hallway. 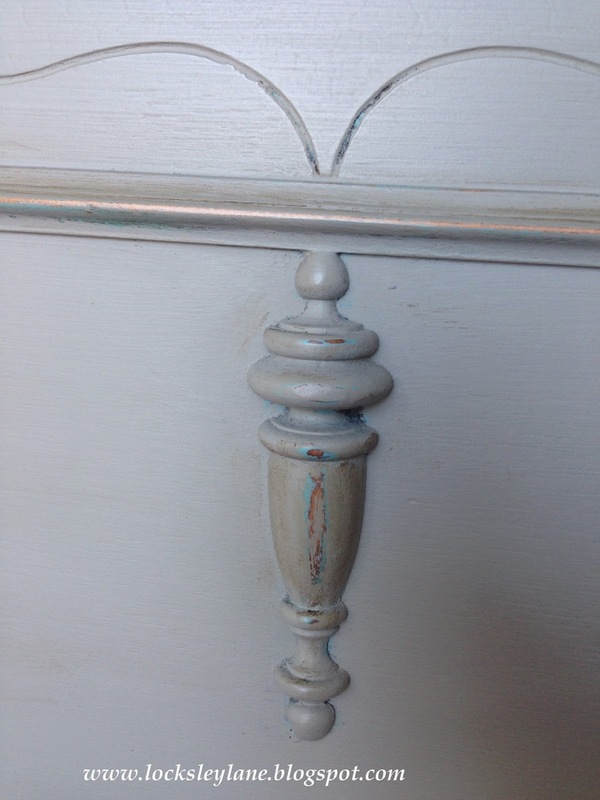 Let me know if you have more questions about dark wax or painting furniture in general. We have lived in Charleston, SC for almost 4 years now. I have fallen in love with this beautiful city and absolutely love the weather. Except for all of this rain that we have had lately. I know we are blessed to have rain versus all of the snow that has been visiting my northern family and friends but.... enough already. Although I miss an occasional snow, I've grown very fond of warm weather. So I was looking at my summer recipes on Pinterest (more like yearning after them) and in the anticipation of warmer weather I want to share a really good summer salad recipe. p.s. you have to like fresh dill...or this won't be a big hit for you. 2 lbs of shrimp (fresh or frozen uncooked) I use the 31-40 per pound from Costco! The bigger shrimp work better. Cook the orzo according to directions with ½ tsp of sea salt. Strain and put into a bowl while still hot. Whisk together ½ cup of olive oil and ½ cup fresh lemon, 1tsp sea salt, 1tsp black pepper and pour over hot orzo. The orzo will soak up the liquid. On a cookie sheet, lay out shrimp – sprinkle with olive oil and sea salt and broil til pink and chop in half or thirds depending on how big your shrimp are. Or, you can also add olive oil to pan, add shrimp and salt, cook til pink, then chop. Whatever is easier. 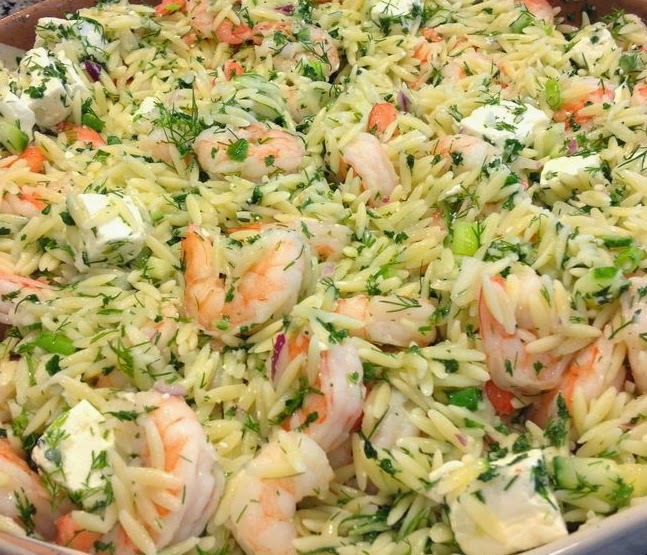 Add shrimp mixture to the orzo and mix. Put in fridge until cool. Then add crumbled feta and put in fridge to let flavors meld. 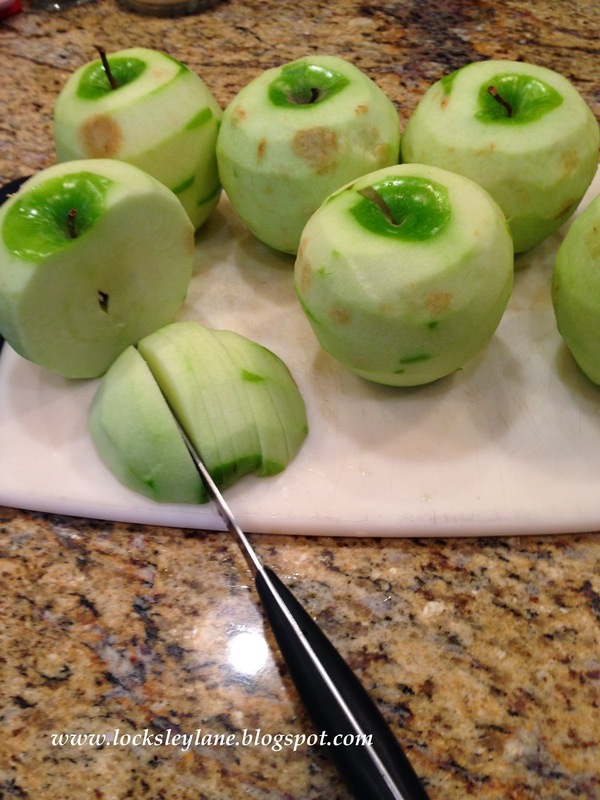 Before serving you may want to add some more olive oil and fresh lemon and salt to taste. Some orzo soaks things up more than others. I love looking at all of the fun creative Easter Baskets that show up each year. 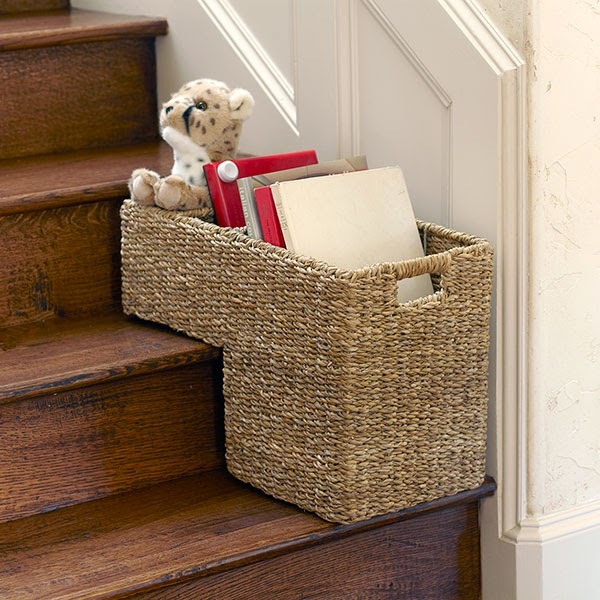 As I've gotten older, I now look for baskets that are functional and can be used throughout the year. 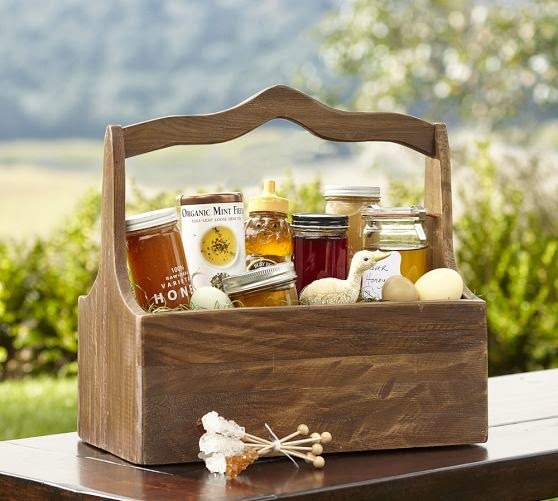 I'm loving this sweet little toolbox basket from Pottery Barn. I'm already thinking of all the different ways I can use this. It can even be monogrammed. Nice! 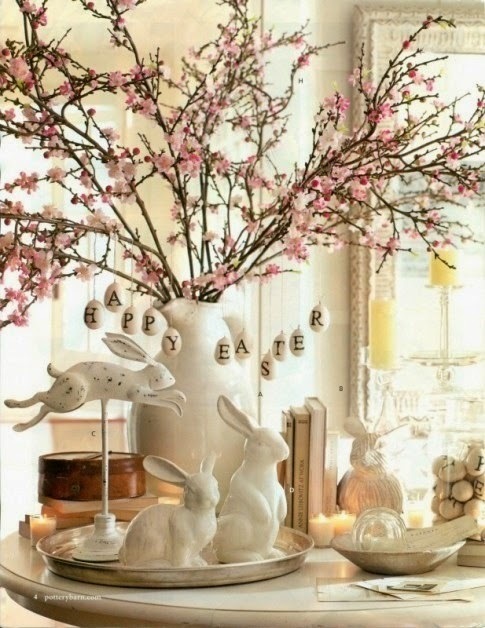 Easter is celebrated because it signifies the resurrection of Christ. Lent, the 40 days prior to Easter, is the time when many Christians sacrifice the consumption of certain foods until Easter Sunday. The 40 days of Lent is based on two Biblical accounts; the 40 years of wilderness wandering by the Israelites and our Lord's 40 days in the wilderness at which point he was tempted by Satan. During our Lenten time, we participate in abstinence, fasting, confession and acts of mercy to strengthen our faith and devotional disciplines. We should leave Lent stronger and more faithful than when we entered the season.The tradition of feasting on a large Easter meal is symbolic of the end of Lent. Historically, the Easter feast was brought in large baskets to the church to be blessed by priests. This is where the link between the Easter holiday and Easter baskets was formed. I'm loving this monogrammed toolbox. How about you? Have a great Tuesday and remember to be loving and be kind. when there is suffering and too much pain. I've had this little writing with me for a long time. It was cut out from an old magazine. My mom sent it to me at some point in my life when I needed to hear the message written above. Occasionally, as I'm looking for something or cleaning out a few things, I find these little cut outs of wisdom that she has sent me over the years. I find them in drawers, books, old purses and special places where I have little keepsakes. Sometimes I wish I was more organized and had kept them all in one place like in a "mother's wisdom book" or something to that effect. Or maybe not.... I actually like stumbling across them here and there and finding these little poems or sayings....reminding me of the strength of the message and of someone who loved me enough to send them. The bench above was painted in a french linen. I'll post the before and after picture soon. Right now I'm going to focus on the words of Mother Teresa. How beautiful and how true. With the start of spring, I start thinking of what is growing outside, what needs attention and what needs to be planted. My favorite plants of all are the hyndrangeas. I found these beautiful starters at Harris Teeter! I love my grocery store....they literally have everything. 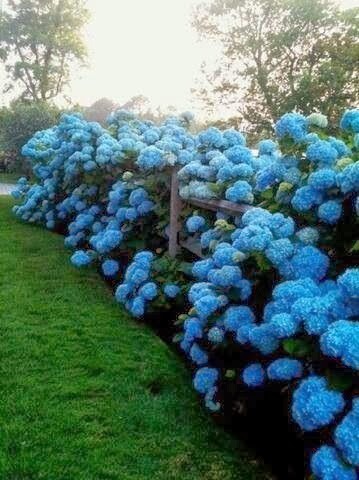 We are fortunate to have beautiful large hydrangea bushes here in SC. In our yard, we have big blue and pink bushes and the best part of all, is that I don't do anything to them. 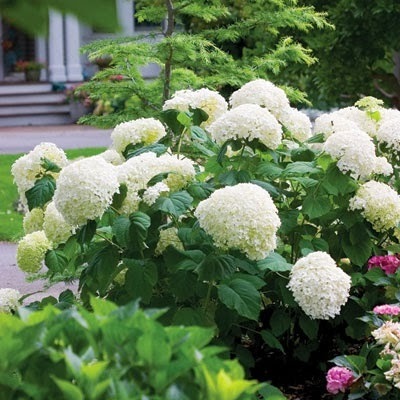 Hydrangeas are very easy to grow and do well in areas that have both sun and shade. 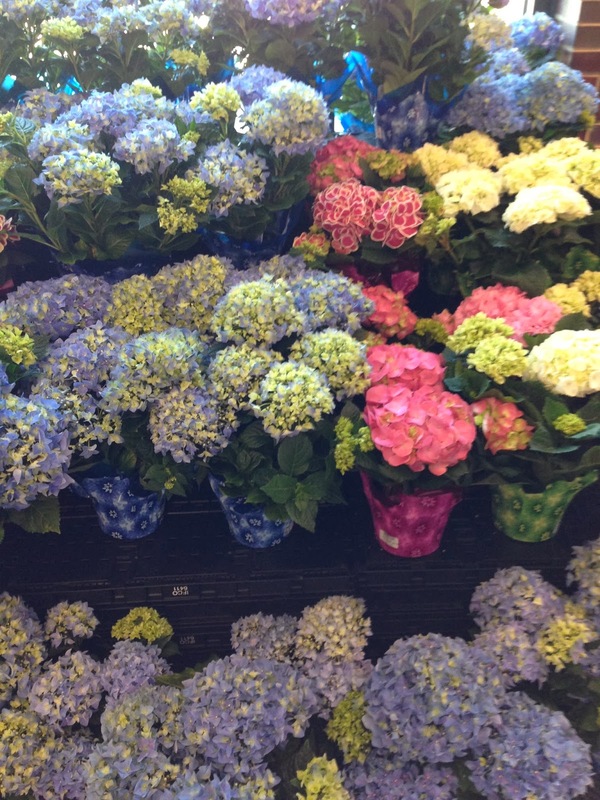 Any of your outdoor stores can help you support the type of hydrangeas you buy and what you need for your soil. 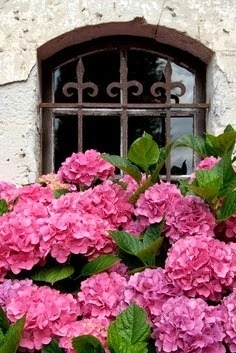 You can also change the color of some hydrangeas. If you want blue ones your soil needs to have aluminum sulfate in it. If you want pink ones, your soil needs to have dolomitic lime in it. White hydrangeas do not change colors. There are so many different varieties. 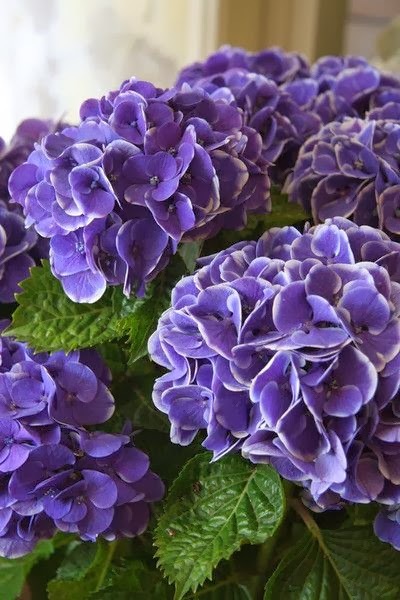 Look at these beautiful purple hydrangeas. 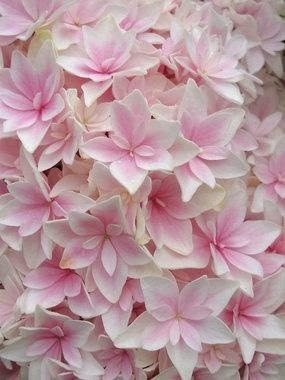 If you want to grow hydrangeas, you should do a little research and see what kind is best for your climate. 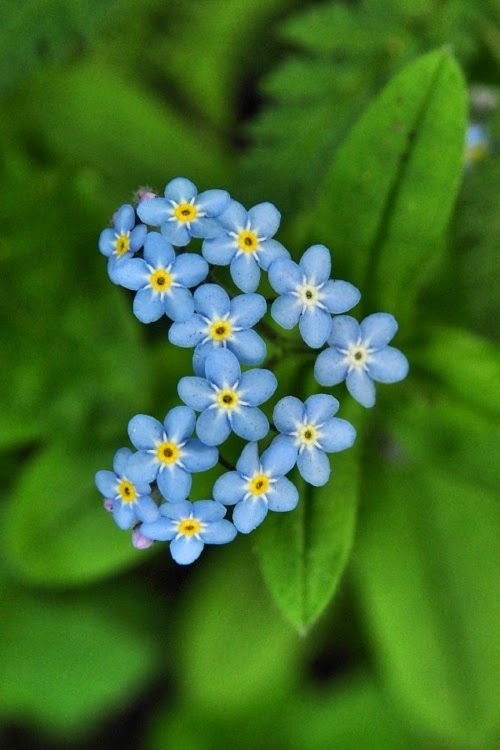 Now is the right time to purchase and plant them so you can have beautiful blooms this summer. The pictures above came randomly from pinterest. I've had this table for a long time and over the years she has moved around from room to room. She belongs with a lower serving tea table that sits in my mom's house. 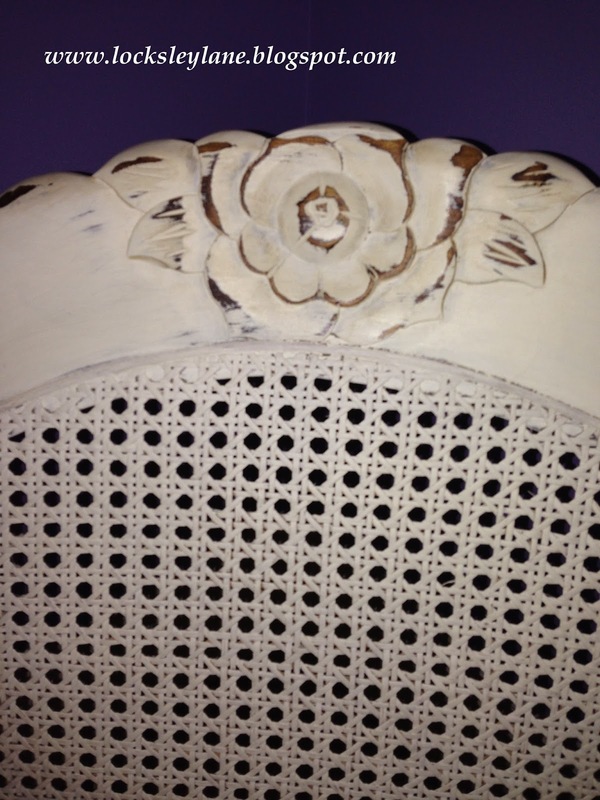 She had a very dark stain that had beautiful little flowers on the top and sides that were flaking off. She is beautiful as is.....but too dark for where I am in my life right now. (Gasp! I can hear the antique collectors saying don't paint her). 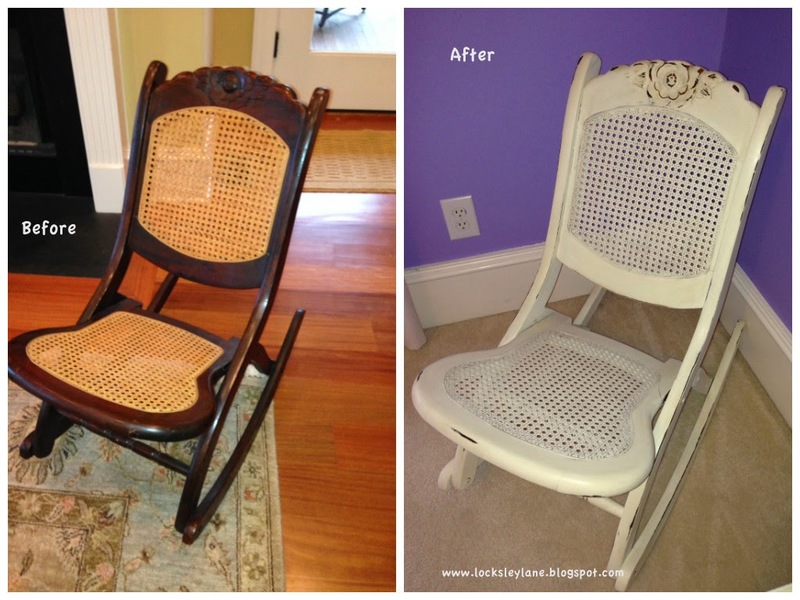 The thing is....when you refinish furniture, you can also restore. If I don't like how she turns out, I can strip the paint and restore her to her natural wood. 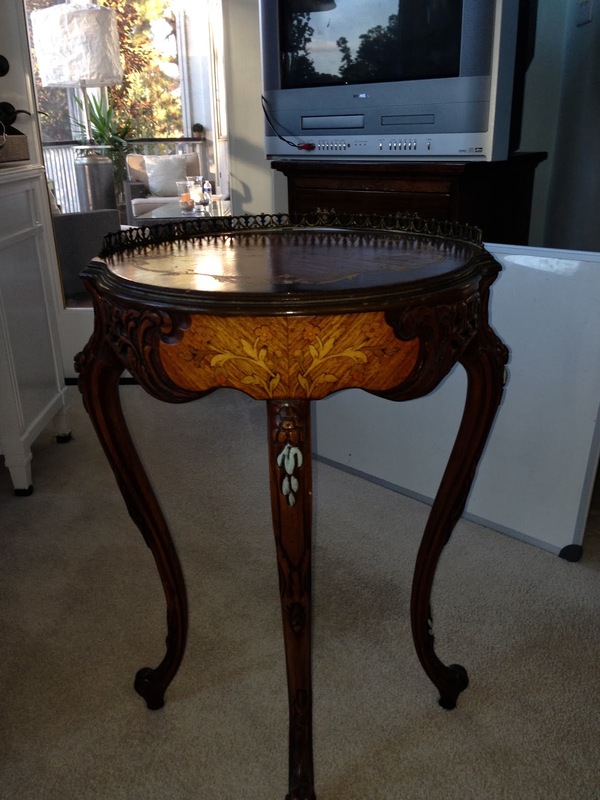 That's what is so cool about furniture restoration. For now, I want those carvings to stand out and I want to lighten her up. I put an antique white on her for starters. 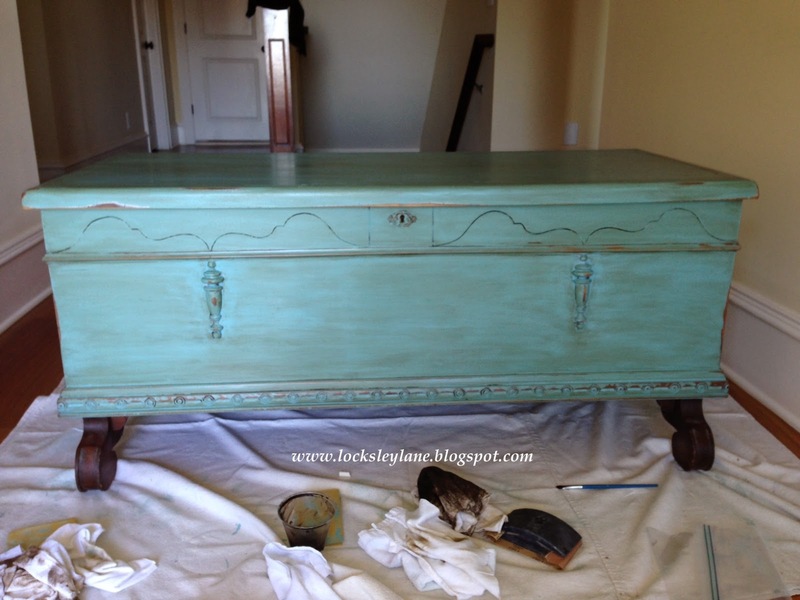 I added a little bit of Duck Egg Blue to her curves and used both a clear and dark wax. Now that I can see all of her beautiful details, I've totally fallen in love with her. 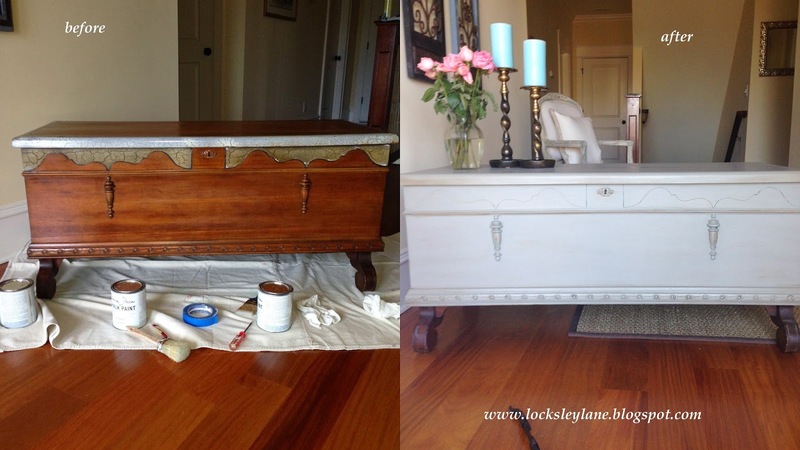 The paint brought out all of the little details that were hidden in the dark stain. Ok, I'm not the best photographer.....but isn't she sweet? I love her lightened up. I hope you have a great day. Remember to be kind. Today I give you permission to procrastinate. Yes, take a walk, go see a friend, get some "fro-yo" (frozen yogurt) and sit outside in the sun. Go do something that makes your heart feel warm. We are all way too busy these days. Take a look at your list. What "has" to get done today - go get it done. What is on the list but can really wait - let it wait. Life is short. We tend to get wrapped up in things that really don't add to what is truly important to our lives. Throw caution to the wind today and forget your to-do list. Say thank you for all of your blessings, where you are, what you have and who is in your life. 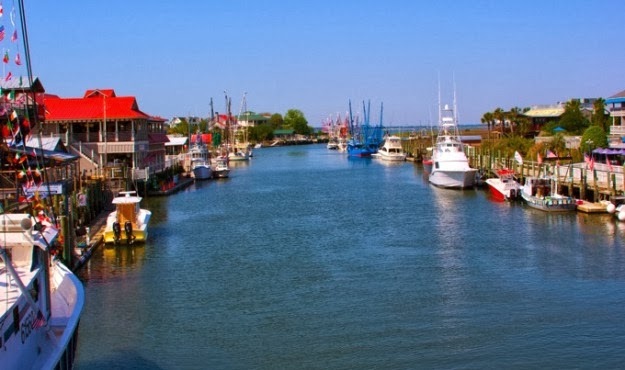 This is a picture of Shem Creek in Mount Pleasant, SC. You can sit here and watch all of the shrimp boats, kayakers and board surfers head out each morning. It's about 5 minutes from where we live. I might just have to meet my husband at sunset for a little drink. We'll sit back and watch all those shrimp boats, kayakers and board surfers come back home. With all of the rain lately, I realize that I don't have a place for our umbrellas. I can never seem to find one when I need one. They get left wherever they were last used. 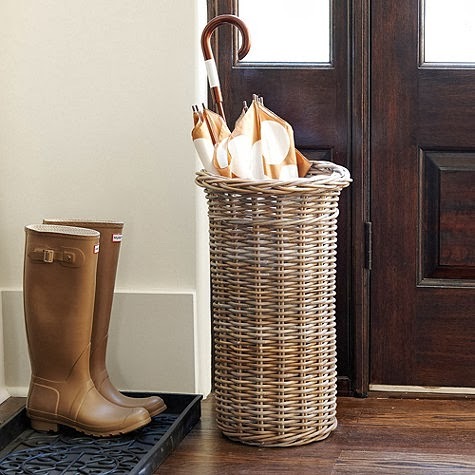 I love a basket by the door that organizes them. This one would be perfect. 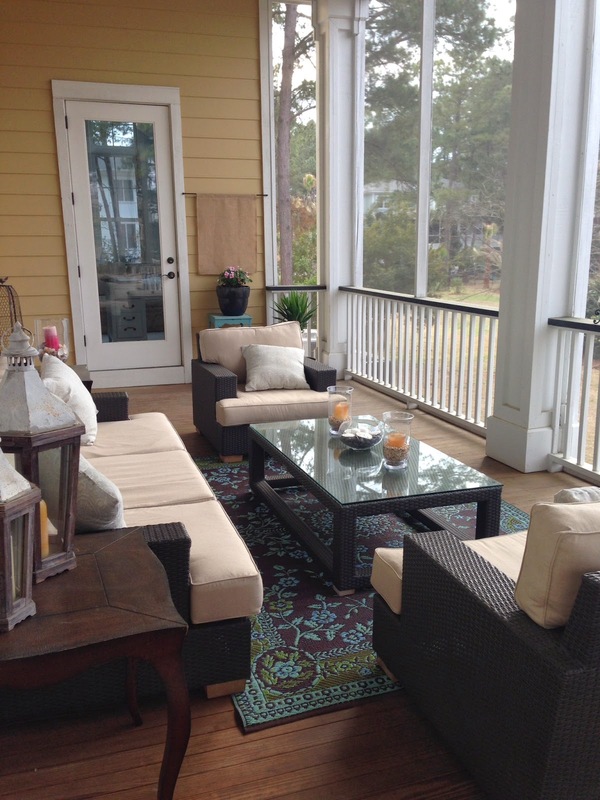 Now that the weather is warming up, we will be using our porch a lot more. 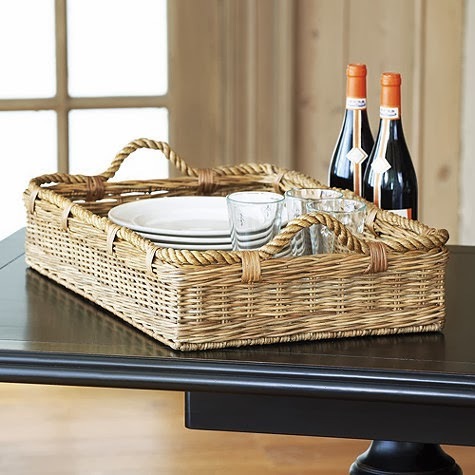 A long flat serving basket looks great on a counter and it will help take things back and forth. It also looks great on a coffee table. You can find baskets pretty much anywhere these days. Look for ones that are sturdy and durable so you can get good use out of them. It is already 75 degrees here in South Carolina and I have to say that I am loving it. Time to get outside. 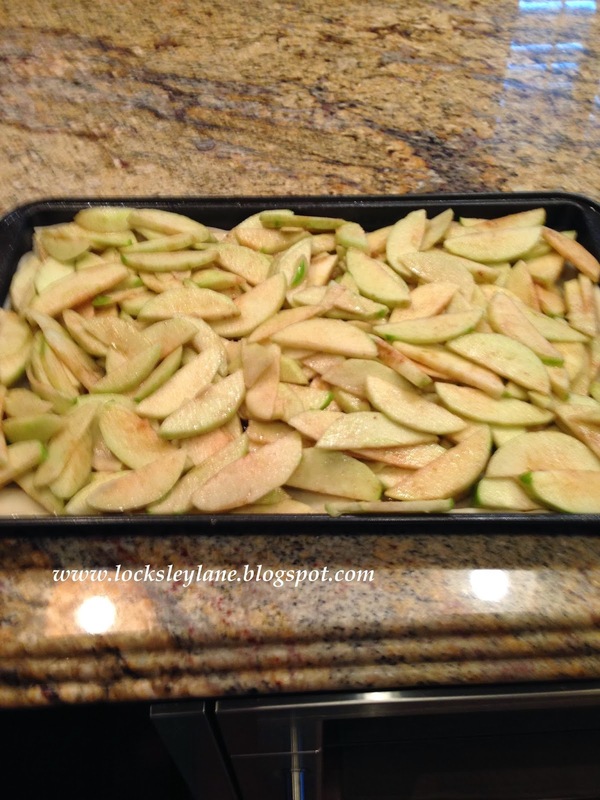 Apple Slab - is so much better than apple pie! 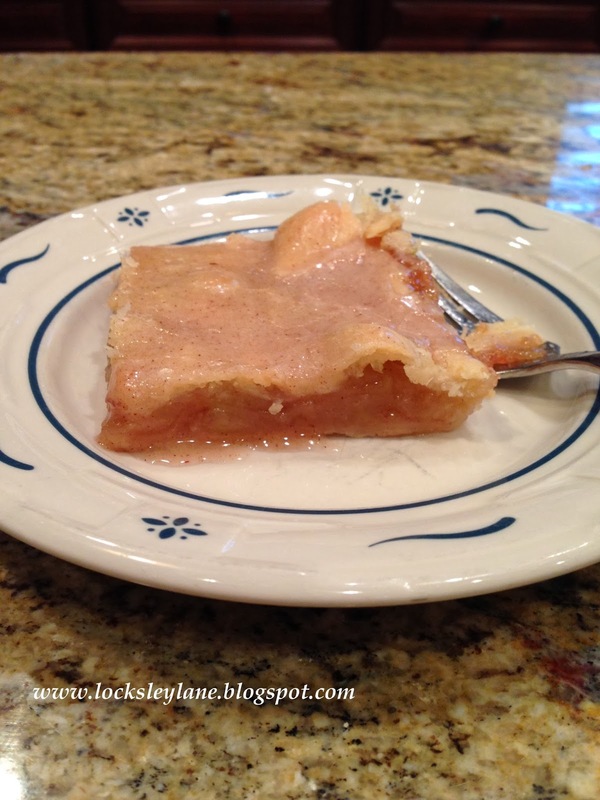 My family loves apple pie. But to be perfectly honest, I have yet to find an apple pie recipe that I want to make again....and I've made a lot of them. 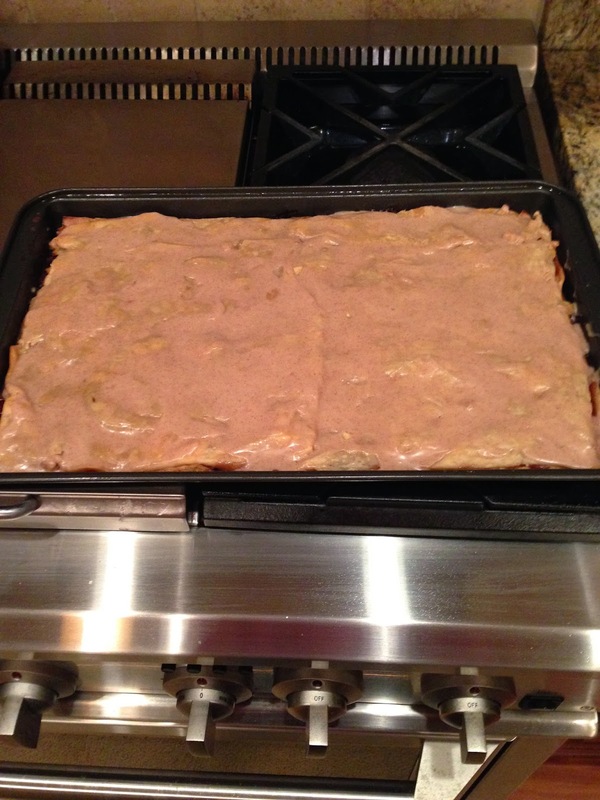 Apple Slab is a home run. 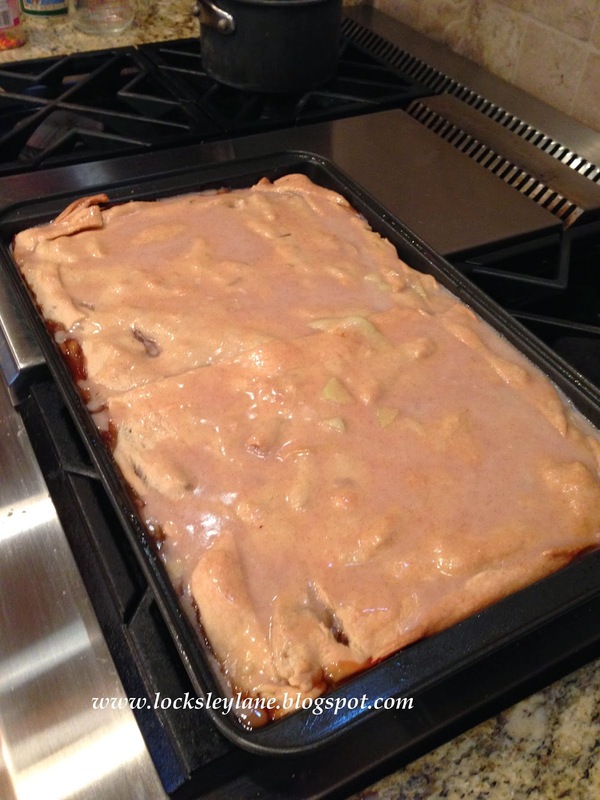 It has the same ingredients as apple pie, but it's more of a bar or slab with apple glaze. 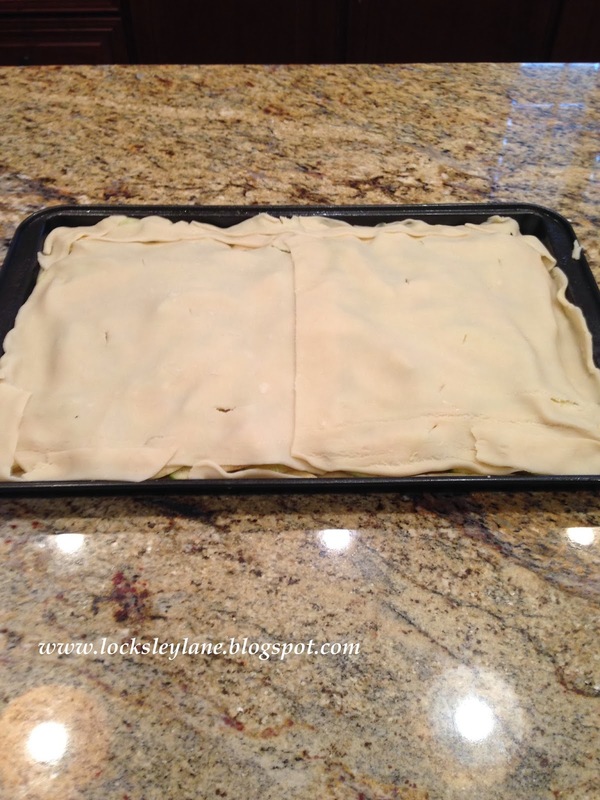 It's gooey and moist and it makes a lot. You can take this to a luncheon, cookout, dinner, holiday party or just make it because your family is crying for a good homemade dessert. And the best part.....it is easy! 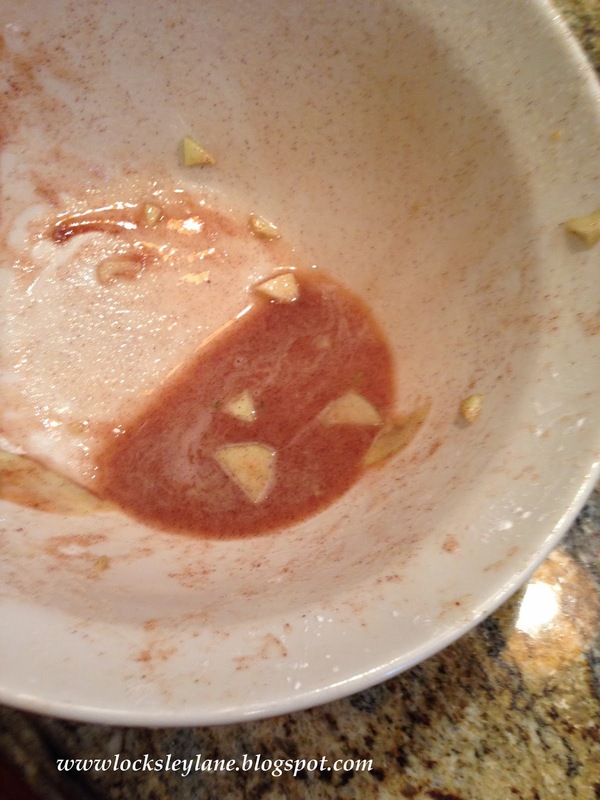 You should have about 1/2 cup of juice....or a little more leftover in your bowl. Use what you have. 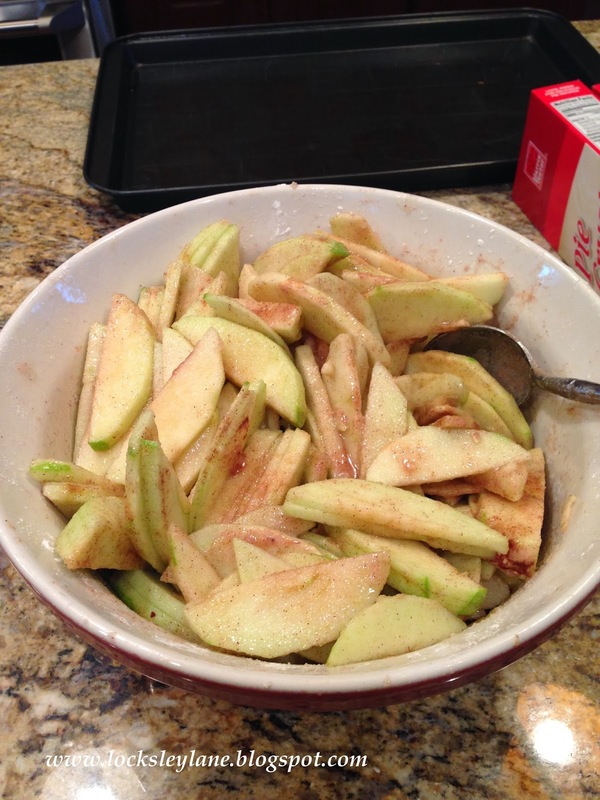 Once this has cooled down but still warm, add 1 1/2 cups of confectioners sugar, 1tsp of melted butter to the leftover apple juice. If it's too thick, add a little milk. 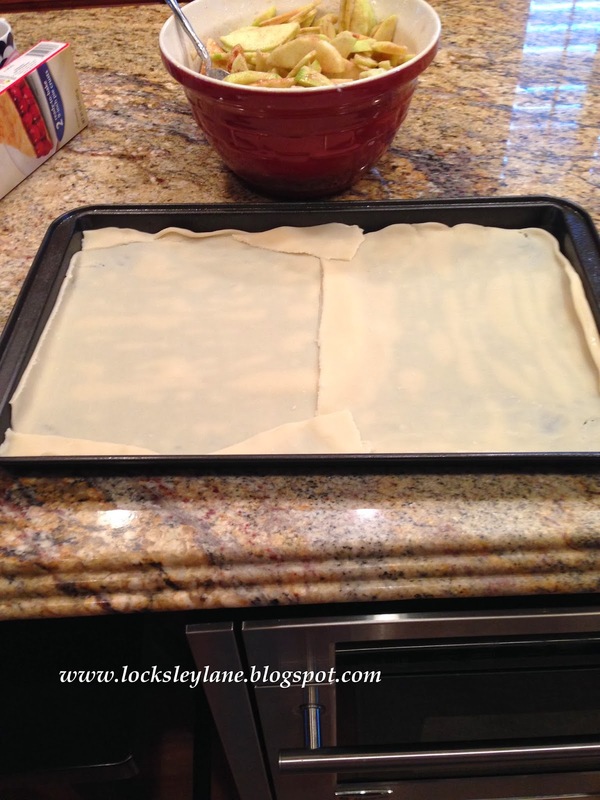 Pour the apple glaze over the slab. What Rugs Should I Buy?